Concerned about the spread of the Zika virus across the South, local officials on Sunday targeted a 15-square mile area of the county, which is near Charleston, with naled. The pesticide, which has been in use in the United States for more than 50 years, is a common tool for mosquito control, but federal officials have said the chemical can be harmful to honeybees while also posing brief risks to aquatic invertebrates and terrestrial wildlife. Officials in Dorchester County, where four travel-related cases of Zika have been reported, sometimes spray for mosquitoes from the roads, but Mr. Ward said he believed that Sunday’s aerial effort was the first of its kind for the county. He acknowledged that a county worker had not followed the local government’s standard procedure of notifying registered beekeepers about the deployment of pesticides.. The county had tried to publicize its plans through social media and the local press, Mr. Ward noted, but Ms. Stanley said that officials had long notified her about scheduled sprayings delivered by truck. This time, she knew nothing about what had happened until a firefighter, who is also a beekeeper, showed up at her door on Monday. The employee in question, who did not respond to a message on Thursday, has apologized, Ms. Stanley said. 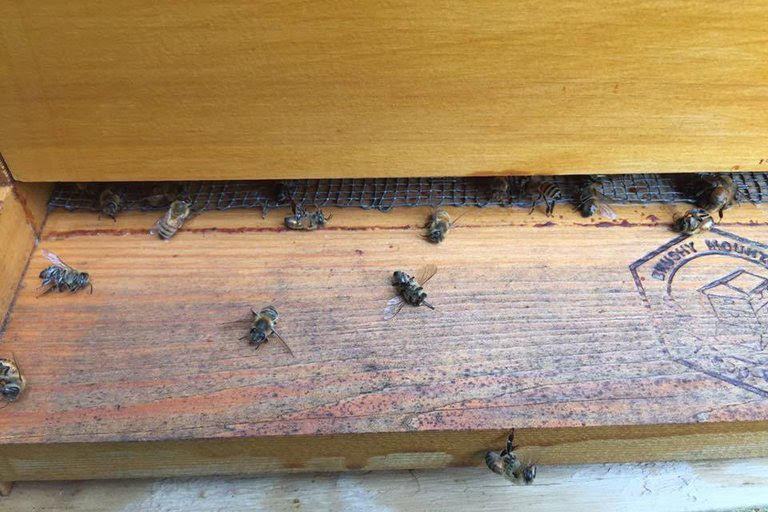 The county has not scheduled any additional aerial sprayings of naled, but some experts have questioned the county’s initial strategy, which included spraying during the day, when honeybees are more active. Dr. Dennis vanEngelsdorp, a bee researcher at the University of Maryland, said the deaths of the bees in South Carolina were unnecessary, and that there were ways to guard against mosquitoes without simultaneously killing valuable pollinators.